Everyones always surprised when I say that some of my favourite products are drugstore or non- expensive products. Everyone knows that Chanel owns Bourgeois and L’Oreal owns Lancome, But just how different is the quality between Designer and drugstore? My key philosophies have always been… “Application is key! – Invest in good brushes and your make up will look great no matter the cost” ….But just how far does my philosophy go? I decided to conduct an experiment where I would apply half my face with Higher end, designer cosmetics and half my face with drug store alternatives. This way I could directly see the different in quality and see where you can save and where is best to spend in the make up department! The result? – Surprising! 6 WINS FOR DESIGNER – 6 WINS FOR DRUGSTORE, 1 DRAW! 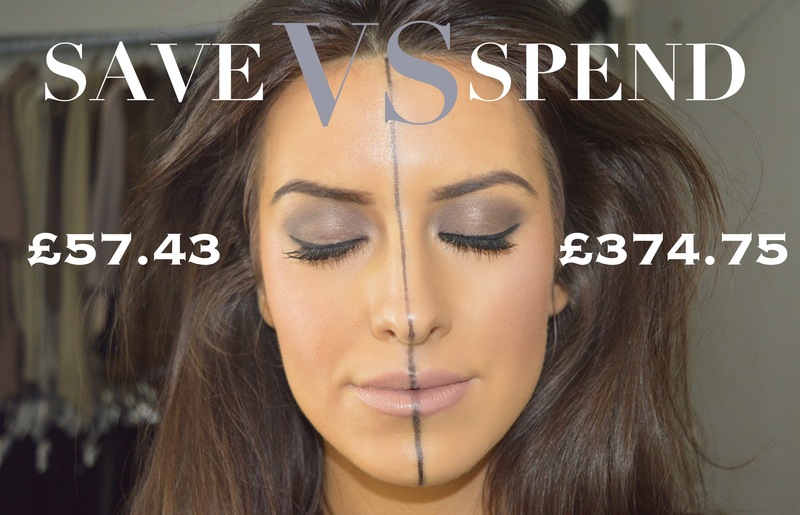 spend vs save – The results!